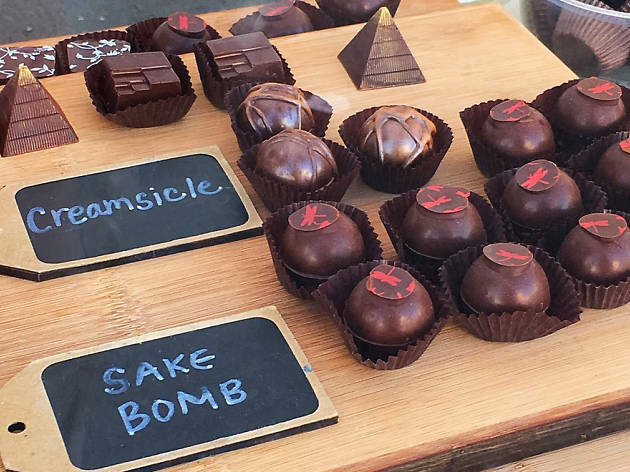 This surprising Inner Richmond chocolate shop helmed by San Francisco native Mindy Fong combines the decadence of chocolate with the spices, fruits and flavors of tropical Asia. Chocolate bars like the award winning Dragon’s Breath (roasted sesame seeds, Lapsang Souchang tea and ground red chili) and truffles like lychee rose green tea beautifully compliment the shop’s menu of rich hot chocolates and loose leaf teas. 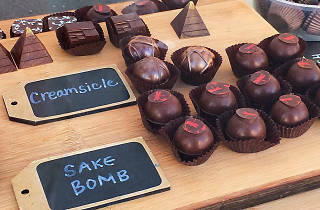 For a unique gift, bring home some of Jade’s “tea drops,” molded cakes of tea leaves and spices in flavors like chocolate earl grey ($2 each).